Need a quick and simple to put together gift for some of the “Pop’s” in your life? 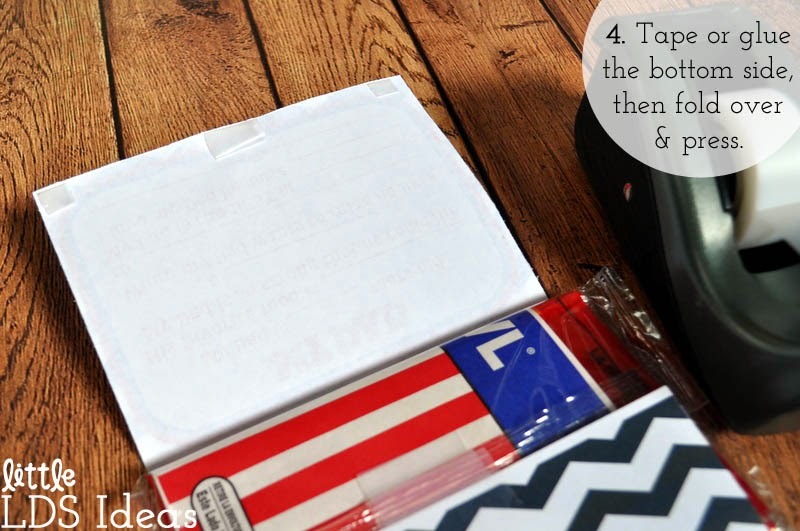 Today I am sharing a great Father’s Day gift idea that is exactly that…quick and simple! 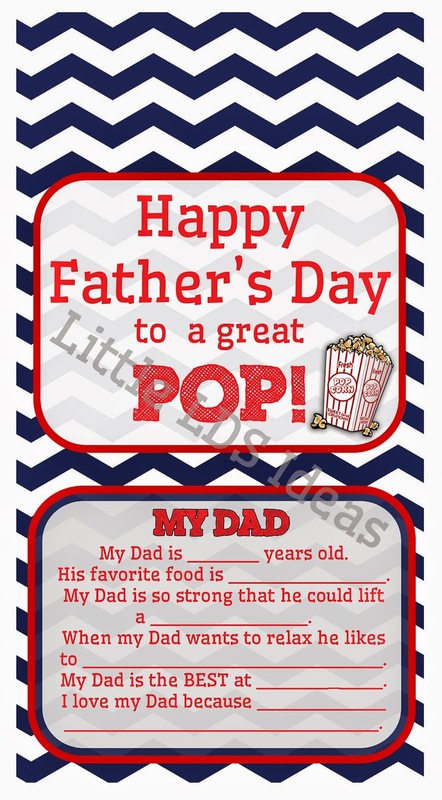 This Father’s Day Popcorn Label is the perfect little gift to give to any ‘Pop’ on Father’s Day. Enjoy! What father doesn’t love popcorn?!? My husband LOVES it, so this gift is perfect. 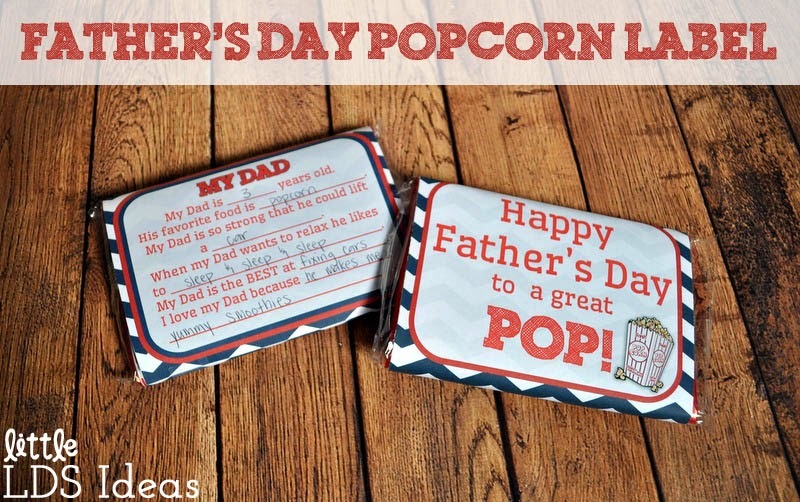 For this gift all you need is my Father’s Day Popcorn label and a package of microwave popcorn. 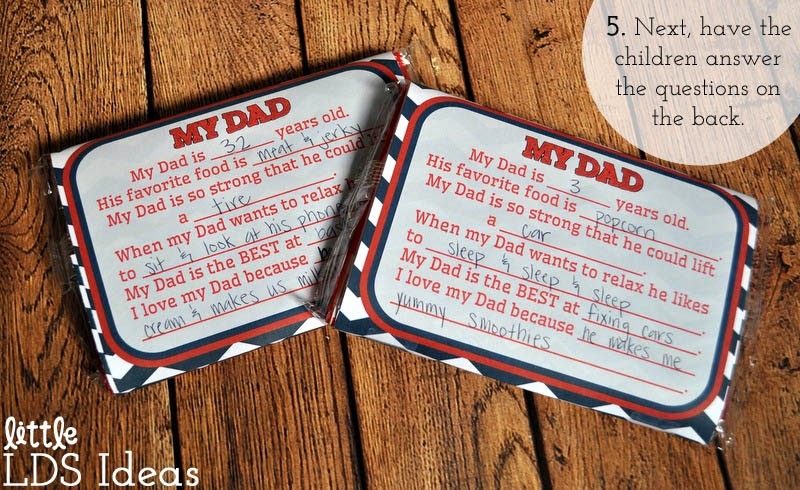 I wanted more than just a note on the front that said “Happy Father’s Day”, so on the back of the label I added a quick little questionnaire for the kiddos to fill out. I am loving these questionnaires! My children filled one out for Mother’s Day and I loved it. Their answers were sweet and some were very funny. What about all those wonderful Grandfathers, Uncles, and friends? No worries! I’ve got you covered. I went ahead and created a label for Grandfather’s and a label without the questionnaire. Just choose the one you want to print, and print it. First, pick out the label you’d like and print it out. Once it’s printed and cut, grab your bags of popcorn. If you are using this for a class at school or church, and need a lot of popcorn, check out Costco or Sams. They have large boxes of popcorn. Now let’s add the label to our popcorn! With the label face-down, place a bag of popcorn on top. Make sure the popcorn is placed in the correct spot. You want the popcorn on top of the “Happy Father’s Day to a great POP!” section. 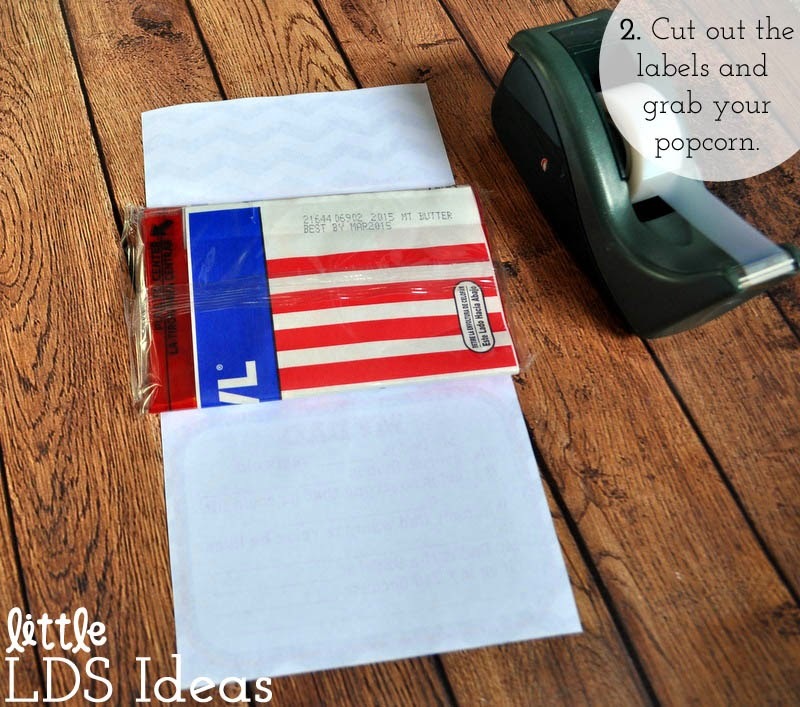 Now, fold over the top section of the label and tape to the popcorn. 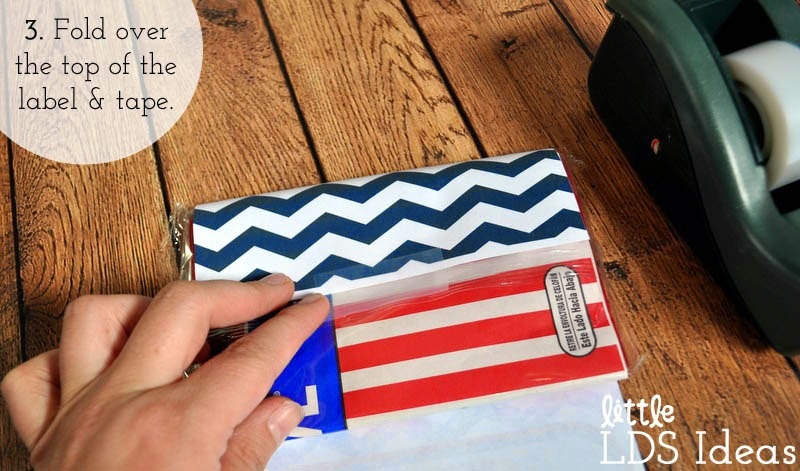 Place small pieces of tape or glue the bottom section of the label, and fold the label over and press down to make sure it adheres. And that’s it! After your label is on…fill the questionnaire out! You could obviously do the questionnaire before too. Either way works just as well. If you’re doing this for a large group I figured you could wrap all of the packages of popcorn and then just have the children fill the questionnaire out. 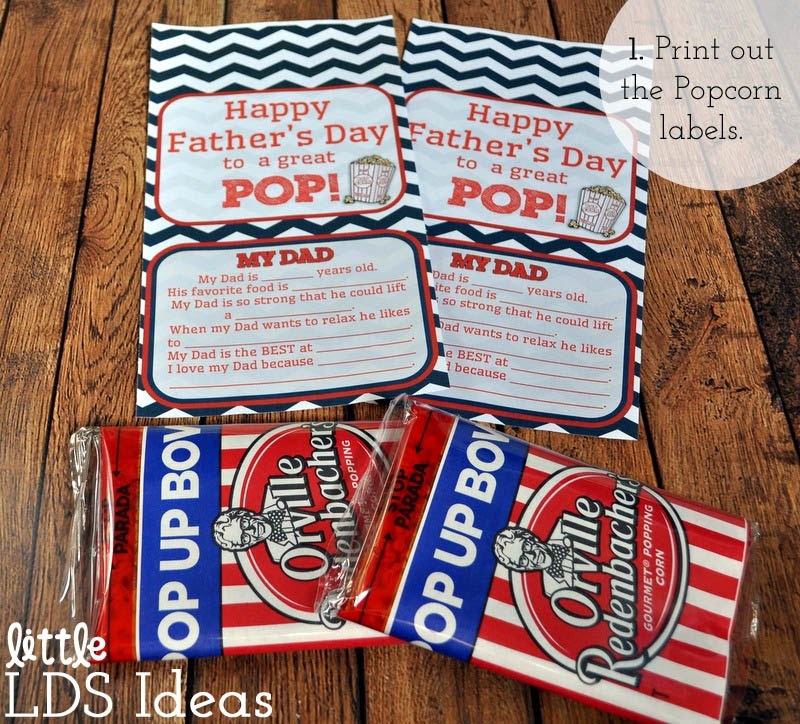 Click HERE to print out my Father’s Day Popcorn Labels. I hope you like my Father’s Day Popcorn label as much as I do. I would love to hear if you use it, so leave me a comment letting me know. We would like to use the “Great Pop” label, but we are not able to download for print it. Would you please assist us, if you can. We would like to have the youth ministry to pass them out on Father’s Day. Is there any way to get multiple popcorn labels on each page? Hi Heather. When I first posted this I tried to fit 2 to a sheet, but it didn’t work. If you would like me to I can try shrinking it, but the labels wouldn’t fit around the whole bag of popcorn. Thanks! THANK YOU for sharing your talent so freely!! The children in our church are going to be so tickled to present these to their dads!! YOU’RE AWESOME!!! Thanks for sharing so many fantastic ideas with the world. I’ve been worried about what to use for Father’s Day this year… couldn’t think of anything I loved- and then found this. An answer the they prayers in my heart. Thank you! Thank you for the comment, Tiffany. I am so glad you liked the “Pop” idea and were able to use it. I hope all the men enjoyed their gift. 🙂 Thanks!